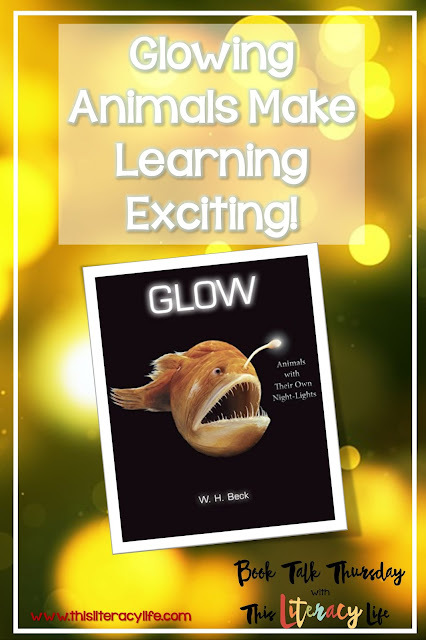 Beck set up the book Glow: Animals with Their Own Night-Lights in quite a unique way. There are two sets of words on each page, big words and little words. The larger words are perfect to read to younger students and to get the idea of bioluminescence - the ability to glow - across to them. 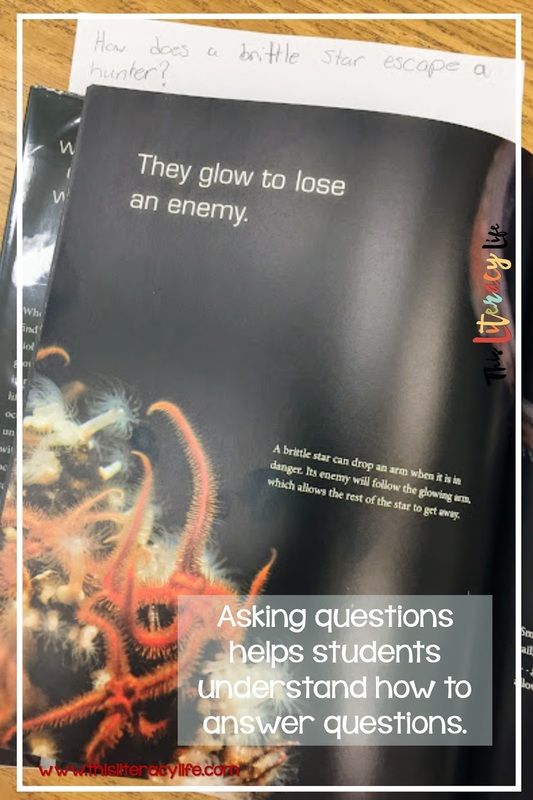 It is also a great way to introduce the idea to all students. It is the heart of the book. But the book also gives the reader so many more details about bioluminescence and the animals that have it. Each set of smaller words tells more information about the reason animals use it, showcasing one particular animal. The pictures of the animals are truly amazing! I also like how the end of the book shows the true sizes of the animals. This versatile book can be read with just about any grade level. I actually used it with a group of 5th graders. They were amazed by the book and oohed and awed at many of the pictures and facts. We have been working on test review, answering questions about a passage. I turned it around. I read the big words out loud to them, showing them the pictures. Then I read SOME of the pages' little words. We worked together to create and answer questions about those. After working together, each student got their own set of little words to write their own questions and have a friend answer them. Here is what we did. Not only can the book be used for basic question and answers. It can also be used for generating ideas for research. Students can choose an animal to research. 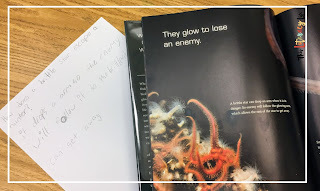 And of course, science teachers can incorporate reading into their lessons. 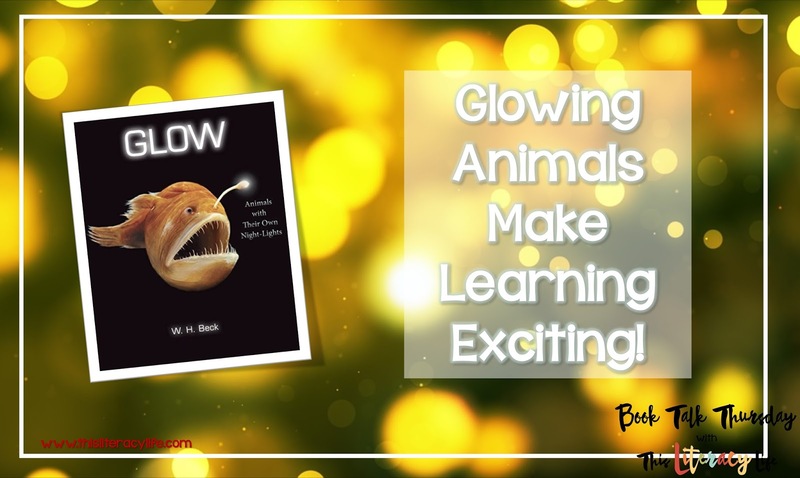 Overall, the book Glow: Animals with Their Own Night-Lights makes a perfect book to use with all grade levels. Stay tuned as I come back over the next few weeks and highlight reviews and ways to use the Virginia Readers' Choice books on Book Talk Thursday.